Most of us would have heard of the name Madhubani in the context of Madhubani paintings, which are also known as Mithila paintings. It is a folk art form which is believed to have formed in the 14th century, although there is a myth doing the rounds, which say that the art form took birth in the time of Ramayana. The paintings gained importance after independence when the art form grew and became very popular that now adorns drawing rooms and galleries across the globe. The district of Madhubani is home to some popular artists and was formed in the year 1972 and shares its borders with Nepal. There are no tourist spots here as such. However, many people come here to catch the Mithila painters in action and learn more about the art form. There are a few palaces which belonged to the Darbhanga Raj in the area, which now lies in ruins. The Madhubani painting is a combination of myths, imagination and creativity which brings out a powerful image that glows in beauty, even though it comprises of two dimensional line drawings that are filled with bright colours in simple themes and motifs. The paintings mainly depict character and events from the Hindu mythology and nature. The art form has a very long tradition which paves a way to a deep bond between the artist and subject. 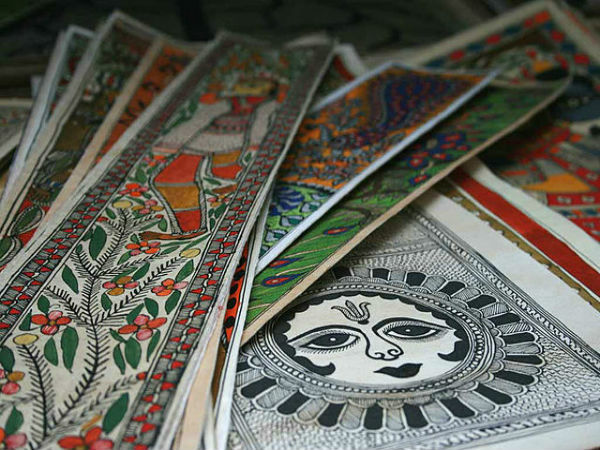 The art form gets its name from the town of Madhubani in Bihar. The paintings are also called Mithila art, which is named after the cultural region of Bihar. The art is traditionally practised by women. It was initially done on the mud walls of their homes, which had been freshly plastered, often in special occasions. The brush was made of cotton and bamboo and the colours were sourced from cow dung, soot, turmeric, pollen, flowers, etc. Madhubani, the site of ancient Mithila, is also associated with the legendary poet, Kalidasa, who is regarded as the greatest poet in the Sanskrit literature. It is thought that the poet was born in Uchaith. About 12 km away from the town is Rajnagar which is home to the ruins of the Old Rajnagar Fort. Rameshwar Singh a local ruler wanted to shift his headquarters from Darbhanga to Rajnagar, for which he had constructed many large palaces, temples, gardens and tanks here. Most of these structures were damaged beyond repair during the earthquake in the year 1934. Among the ruins, one would get to see the Navlakha Palace and the Ram Janaki temple. One can also find a Kali temple here, which is constructed out of pure white marble that is a well-preserved structure and attracts a large number of visitors. By Air: The nearest major airport is the Patna airport which is located at a distance of 129 km from here. The airport is well connected to major cities across the country with regular flights from Delhi, Mumbai, etc. By Train: The Patna junction of Darbhanga Junction is the nearest major railway station which connects the town to major cities across the state and country. 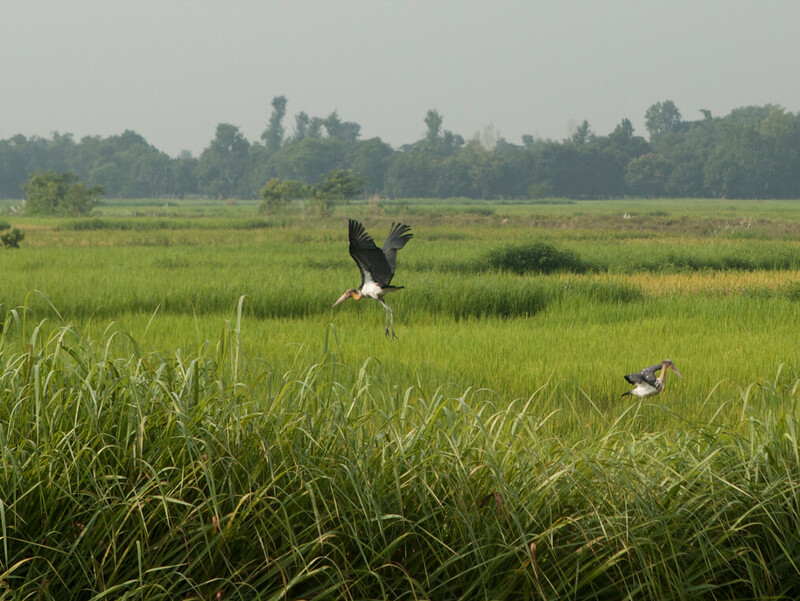 By Road: One of the best ways to commute within and to Madhubani is relaying on road transport, as the place is well connected by roads and has plenty of buses that ply to and fro from around the place.